Sherry Narens has worked in theatre all her adult life as an actor, playwright and director. Beginning with the eleven years she worked with Chicago Dramatists (during which time her play, Parktalk, was produced there) she has focused largely on new plays and new play development. Her play Theresa Bassoon was an Award Recipient from The Kennedy Center Fund for New American Plays as well as winner of the Best Full Length Play Award at the Actors Theatre of Santa Cruz. 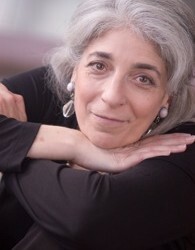 She participated in a developmental residency at University of Pittsburgh which culminated in a student staging of Karmic Soap Opera (her play about one couple in 10 lifetimes). Her short play Village of the Sirens was developed for The Art Project and performed as a benefit for Theatre Puget Sound in 2005. Last summer The Destiny of Souls was presented as part of Seattle Playwrights Collective’s Page to Stage Showcase. She is a member of The Dramatists Guild and an active regular member of Seattle Playwrights Collective. Where did you get the idea for Doors and Tunnels? I’ve been interested in doors and doorways for a long time: places where something changes, where a transition occurs. When I lived in Eugene I learned that the place where big stage sets for the Opera and Ballet were kept was an old door factory, and I’ve been chewing on the idea of a door factory ever since. I suspect this short play is the core idea of what will become a larger piece somewhere along the line. One that I wrote but which may be technically impossible: the stage direction that “a shaft of darkness appears.” I love that idea. Can’t say that I have one. There are a lot of playwrights I admire greatly, but I’m interested in stretching the theatre to do things that can’t be done in other media, and there aren’t very many people doing that these days. Write your vision instead of what you think can be produced. Unless we create really exciting new work no one will ever see anything but kitchen dramas. It’s up to us. Here’s where I contradict myself: I love theatre that is verbally interesting and I love theatre that uses space and movement to draw the audience into an entirely unexpected experience. So I love Shakespeare and Stoppard, but I’ve been most influenced by the final moment of Threepenny Opera which I saw when I was about 15 (when the Street Singer sang, “Light ‘em up boys” and the lights hit – me! ), The Living Theatre’s production of Paradise Now which bent the theatre in ways we may never see again, and the movement based work of Gilles Maheu’s Carbone 14 from Montreal. My work has a long way to go before it lives up to these predecessors. Working on a rewrite of Lincoln Park, or The Betrayal of the Sidhe, which examines the impact of urbanization on the faeries who live on the land (hopefully in an entertaining way), and looking for the next step in the development of The Secret Life of Eleanor Rigby, a play about a woman and her cat (a play which I wrote for a brilliant actor who lives in Beijing and whom I met in England a few years back). – I’m a shamanic practitioner, advocate for wild places and supporter of natural burial. Nope. I just love words: how they sound, how it feels to say them. I’d love for playwrights to address what it is in theatre that cannot be translated to film, video etc.